We’d climbed into snow while crossing Raton Pass and crawled down through a growing fury of sharp, hard-blown sleet. Maybe it was the elevation, we thought, and so we made the turn onto New Mexico’s Hwy 64 and headed into the no-man’s land of two lane highway linking Raton to Clayton, Dalhart, and ultimately on to Amarillo. The mountains were behind us and on the clearest of days the view on either side of the highway is open range, the kind where sage grows and antelopes play as far as the eye can see. On this day the eye couldn’t see any farther than the bumper of the car ahead. The north wind hurled snow across the highway and stilled birds in their northward flight, driving them back to the fence post they’d started from. The radio, our connection to life outside the blizzard, told us our highway had been closed probably moments after we’d started on it, but there was no place for us to go but forward. At times the car in front of us would disappear completely, swallowed by the blizzard, and we’d curse the driver for not having his taillights lit, only to discover they were on when the snow eased that little bit and the taillight’s glow returned. When we finally reached a small town and a crowded gas station, we did what all the survival advice tells us to do and pulled in to cap off our tank. At the station I watched a young man step out of the office, hold his arms out as sails, and let the wind skate him across the icy lot to his car. It was my first experience with a blizzard. I think I’ll take my snow in a milder mood, thank you. 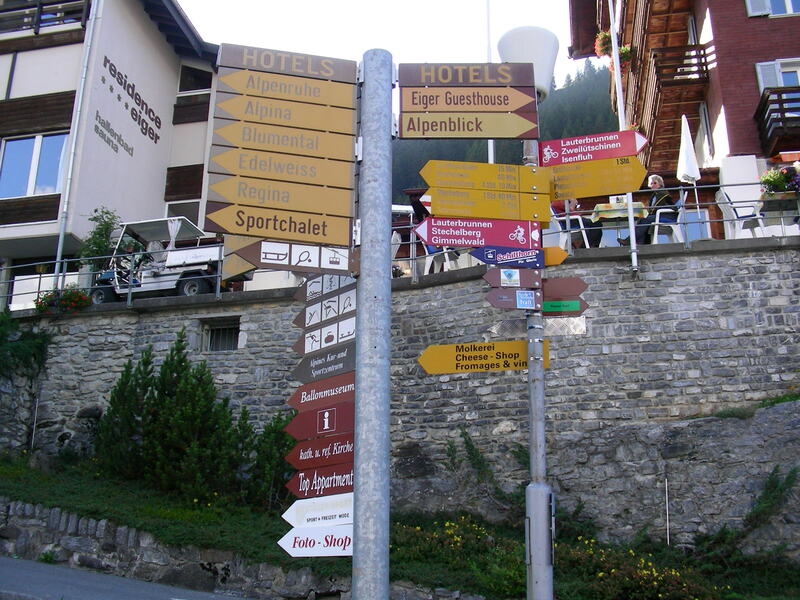 A few years back my sisters and I went on the lam and since Switzerland has an iffy extradition policy, we landed there. Getting around Zurich couldn’t be any easier. 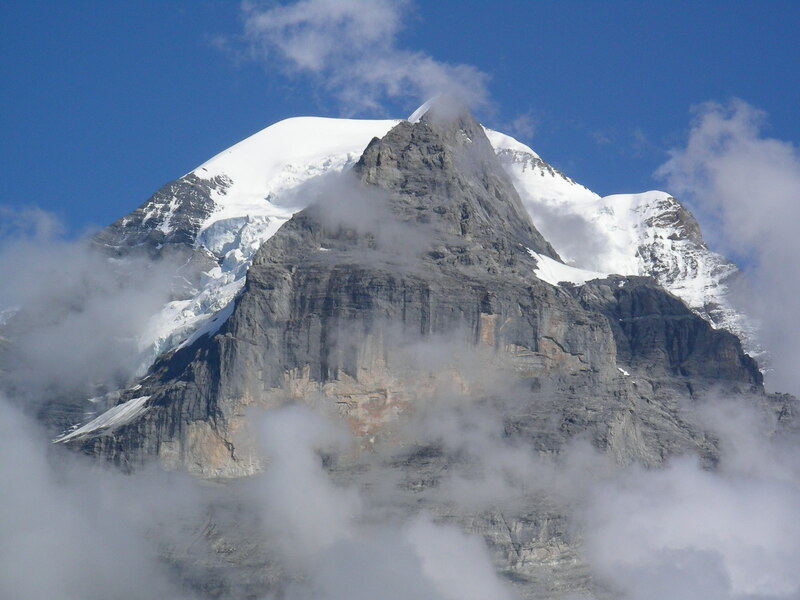 We zipped through customs, grabbed a few Euros at an ATM, hopped the train right at the airport, and were in the Berner Oberland in nothing flat. For the record, I want it noted that when we trained back into Zurich and I asked an officer–auf Deutsch–for directions to our hotel, his answer was also auf Deutsch. He’d bought my impersonation of a German-speaking person. I didn’t understand a word he said but I was so thrilled that when he pointed, I left him with a happy “Danke” and quietly followed his finger. 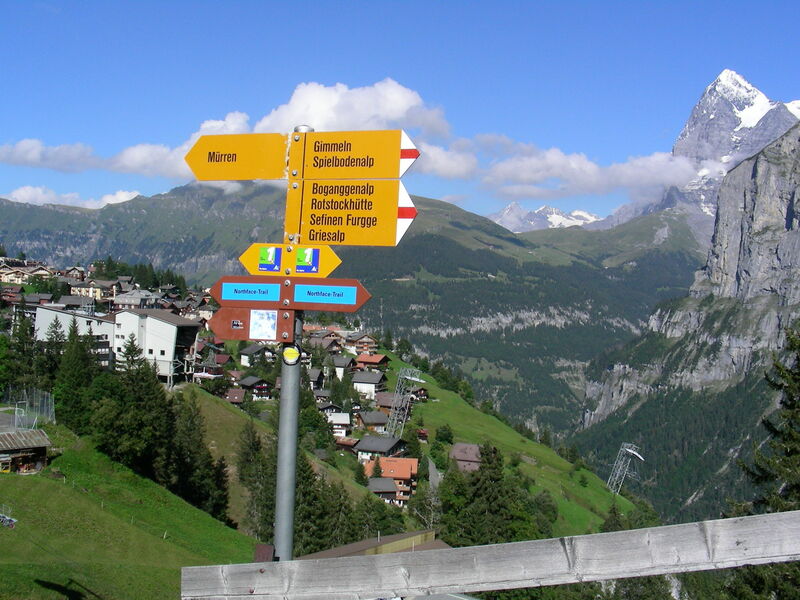 Getting around the car-free town of Murren, high above Lauterbrunnen, Switzerland, is even easier. Just follow the signs. Switzerland’s version of a freeway interchange. But nobody has to point you toward the view. There’s snow, in case you think I’ve gone astray on my opening theme. A very civilized, Switzerland summer kind of snow. Very mild from this distance. Is it the snow? Is that why I have such a fondness for Switzerland? It is a lovely blend of alpine peaks and blazing white, and it feels like eternal Christmas. I’m awfully fond of Christmas too. 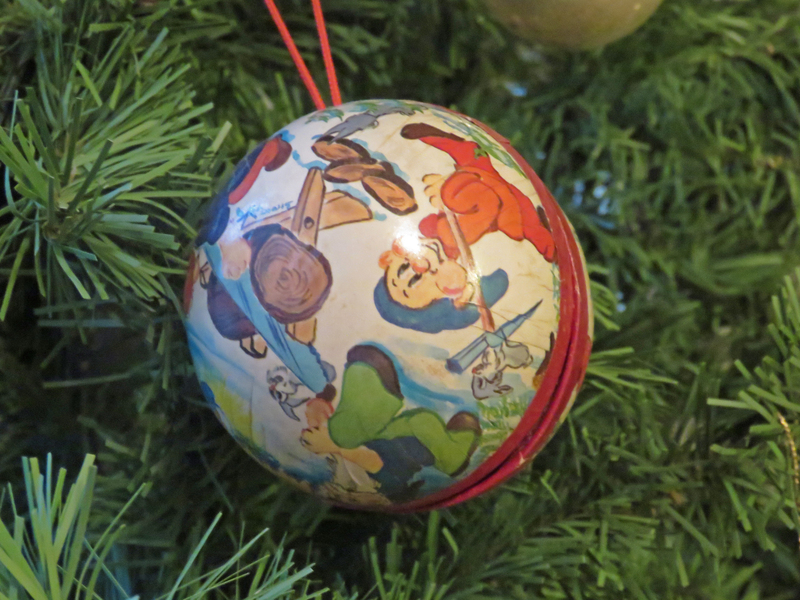 We brought a bit of Swiss Christmas home with us once, in the form of an ornament which has hung on our tree every year since our visit to Luzern two decades ago. The ornament is made in two halves which fit together and when our daughter was small we would place money or candy inside for her to find on Christmas morning. Maybe I’ll hide a treasure in it this year too. Why not? Treasures, snow and Switzerland are all very good things. Gosh we’ve traveled that stretch from Denver to the left turn at Raton and on through Dalhart many a time to visit Hub’s Mom in a small town an hour from Amarillo. I love the terrain through there – take away a fence or two and we could be back in the pioneer days in unchanged landscape. Safe travels and Merry Christmas! I love the terrain too, Sammy, but I was raised on Wagon Train reruns and I love imagining a line of covered wagons heading west across those flat lands. Or cattle being driven north. Thank heavens for the imagination, huh? Safe travels and Merry Christmas to you too!